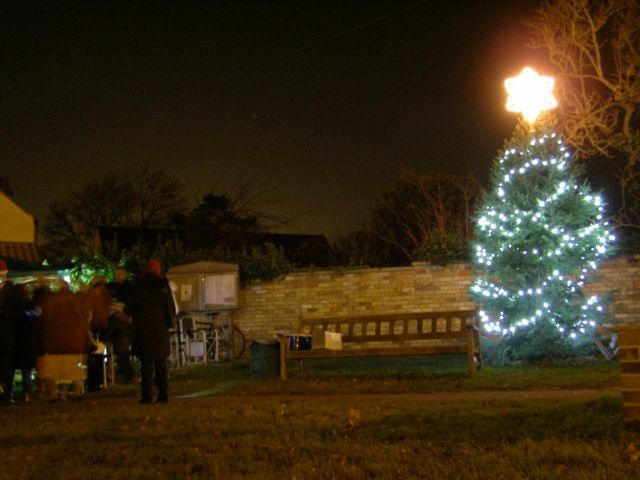 The Christmas tree lights were turned on this evening on the village green, in a very seasonal event. Unfortunately the village's oldest resident was not available to press the switch as planned, so John from the Ancient Shepherds stood in. 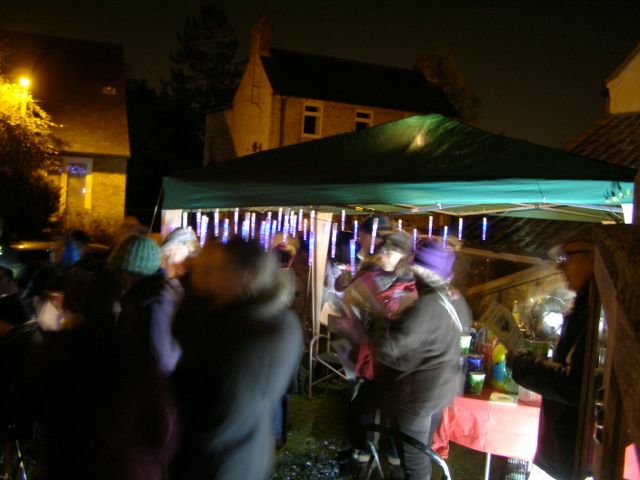 A splendid array of goodies were available - mince pies, mulled wine and Laurie's famous chocolate brownies. The mulled wine was specially formulated to free up the vocal cords ahead of the Christmas sing. There was a charity collection for Macmillan Nurses and the Fen Ditton Church Restoration Fund which raised a total of £145.